Lee Ainslie’s Maverick Capital was extremely bullish about Hewlett-Packard during the third quarter. They bet $400 Million on HPQ, making it the second biggest position in Maverick’s portfolio. Ainslie’s 10 biggest new stock picks accounted for $1.7 Billion at the end of the third quarter. These 10 stocks had a weighted average return of 16.5% during the fourth quarter, vs. SPY’s 10.7%. Despite the strong performance of these new stock picks, the Maverick Fund returned only 2.8% during the fourth quarter. One might think Maverick didn’t perform well because its largest positions didn’t perform well. Insider Monkey, your source for free insider trading data, calculated the returns for Ainslie’s top 43 positions, which had a total market value of $8.3 Billion, or nearly 90% of his 13F portfolio. These 43 stocks returned 6.8% during the fourth quarter, underperforming the SPY by 3.9 percentage points. This means Ainslie’s short positions cost him another 4 percentage points, which knocked his overall return down to 2.8%. Lee Ainslie’s 20 new stock picks had a weighted average return of 9.4% so far in 2011, vs. SPY’s 5.8%. Ainslie got bullish about mega-cap banks during the fourth quarter, building a $363 Million JP Morgan Chase (JPM) position and a $123 Million Bank of America position. George Soros, Appaloosa’s David Tepper, John Paulson, Stephen Mandel, Martin Zweig and Joseph DiMenna are other hedge fund managers with JPM positions. Warren Buffett was selling BAC during the fourth quarter. Maverick’s other new financial stock picks were Blackrock ($246 Million), Bank of America and Huntington Bancshares (HBAN). All of these banking stocks managed to beat the SPY by a large margin. Lee Ainslie already had Citigroup as his biggest financial holding, so he is really bullish about the banking sector. Andreas Halvorsen’s Viking Global also bought Urban Outfitter (URBN), Ainslie’s second biggest new purchase, during the fourth quarter. Larry Robbins’ Glenview has a very large McKesson (MCK) position. Technology and healthcare are the other sectors Lee Ainslie put a lot of emphasis on during the fourth quater. Lee Ainslie’s fourth investment theme was commodities. He bought two oil companies and a mining company. During the fourth quarter, Lee Ainslie increased his VanceInfo Technologies (VIT) and Amdocs Ltd (DOX) holdings tenfold. He added $300 Million in Qualcomm (QCOM) shares. He also doubled OC, TEVA, DELL, and HMIN. Maverick also increased its Apollo Group Inc (APOL) by 20% despite notable hedge fund managers such as Steve Eisman shorting the for-profit education sector. Ainslie’s top 25 positions returned 6.6% since the end of December, beating the SPY by 0.8 percentage points. Once more, his new stock picks beat his largest positions. Interestingly, his top position, Corning (GLW), isn’t one of the stocks other hedge funds own. Corning returned more than 13% since the beginning of this year. Ainslie’s fourth largest position in the portfolio is Apple (AAPL). He actually trimmed his Apple holdings by more than 10% as the stock price went from $250 to $350. Apple is one of the most popular stock among hedge fund managers. 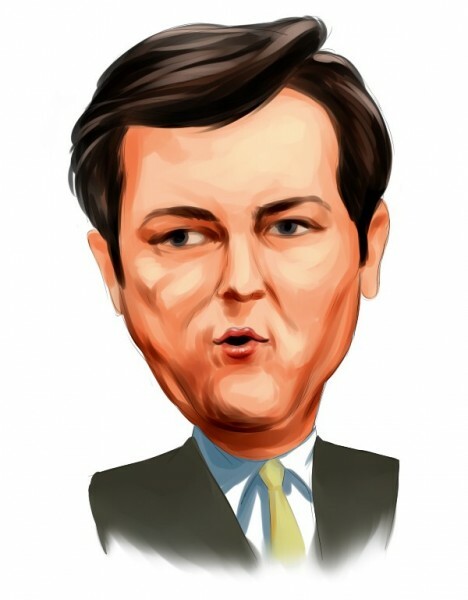 David Einhorn, George Soros, Jim Simons, Dan Loeb, Andreas Halvorsen, Joseph DiMenna, Chase Coleman, Stephen Mandel, Barry Rosenstein, and Craig Effron are among these hedge fund managers. We will revisit Lee Ainslie’s portfolio in a couple of months and calculate returns to his technology, retail, banking, and healthcare picks.